The retail landscape is always changing, and these days the most innovative brands are competing on experience to capture their customers’ attention. So what do these experiences look like? 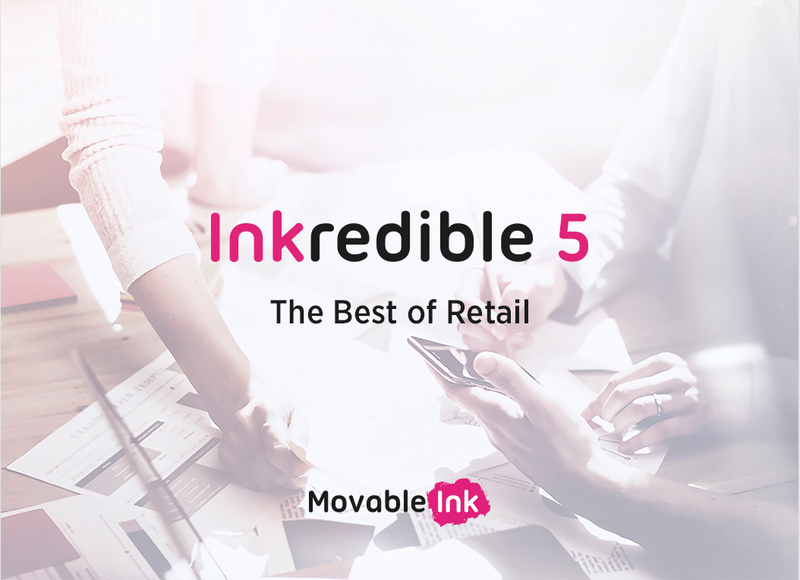 We put together our five favorite retail marketing examples from our past Inkredible Five Lookbooks to bring you the best of the best in retail. Inside, you’ll see how Bloomingdale’s, Scholastic, Steve Madden, Dermalogica, and Bluemercury created amazing customer-centric experiences using Movable Ink. See real-life inspiration from Bloomingdale’s, Scholastic, Steve Madden, Dermalogica, and Bluemercury.